CDA Pono (standing behind the podium) delivering her remarks at the Jose Rizal Park in Wilhelmsfeld. Tucked away in the forests of the Odenwald mountains, Wilhelmsfeld in the state of Baden-Württemberg occupies a special place in Philippine history. For a few months in 1886, the town was home to no less than the Philippines’ National Hero, Dr. Jose Rizal. 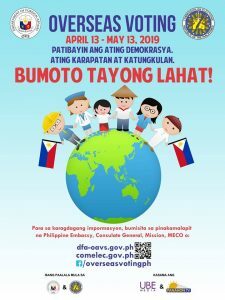 Today, Dr. Rizal is an integral part of the town’s identity, with markers, Philippine flags, and street names serving as tangible links to its storied past. Every year, the town and its leadership celebrate the life and deeds of the great man who was once a member of their community. 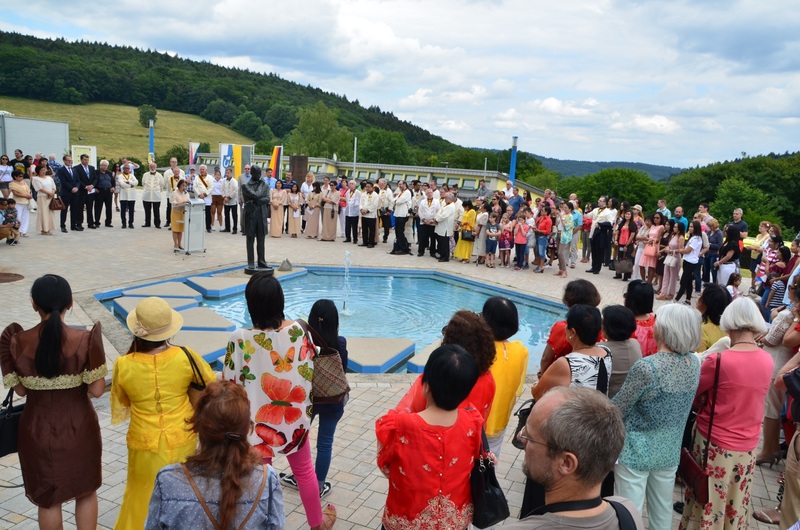 On June 17, Filipinos from different parts of Germany, including Philippine Embassy Chargé d’affaires Lillibeth Pono, and mostly German members of the Knights of Rizal led by Wilhemsfeld-Heidelberg Chapter Commander Sir Werner Filsinger, came to Wilhelmsfeld for this year’s Rizal Birth Anniversary celebration. Dr. Axel Neumahr, Honorary Consul for PHC Stuttgart, likewise reiterated CDA Pono’s message and called on the residents of Wilhelmsfeld to continue what their forefathers have started by holding such event, not just out of tradition but to affirm the solid relationship between the said countries. In her remarks during the occasion, CDA Pono called Wilhelmsfeld a symbol of the enduring bonds of friendship between the Philippines and Germany, and expressed the Embassy’s gratitude to Wilhelmsfeld Mayor Christoph Oeldorf and the past administrations of Wilhelmsfeld, and the Knights of Rizal, for keeping the memory of our National Hero very much alive – a hundred and thirty-two years after he walked the town’s streets. 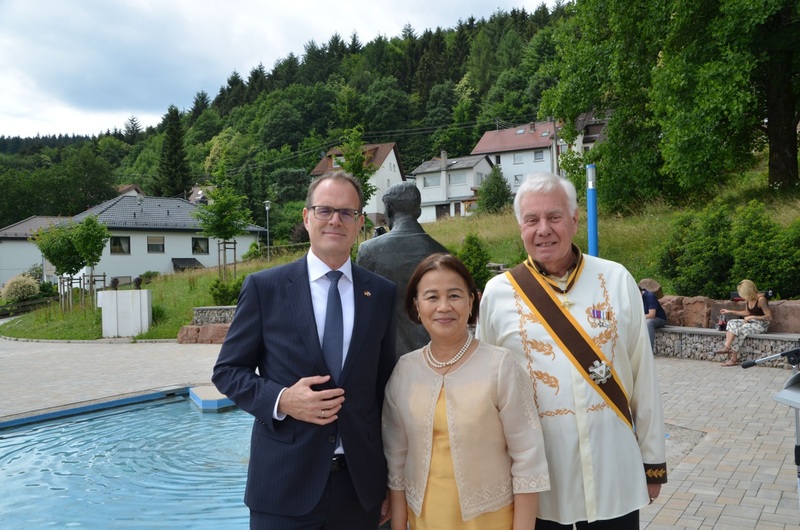 From left: Philippine Honorary Consul in Stuttgart Axel Neumahr, CDA Pono, and Knights of Rizal Wilhelmsfeld-Heidelberg Chapter Commander Filsinger.